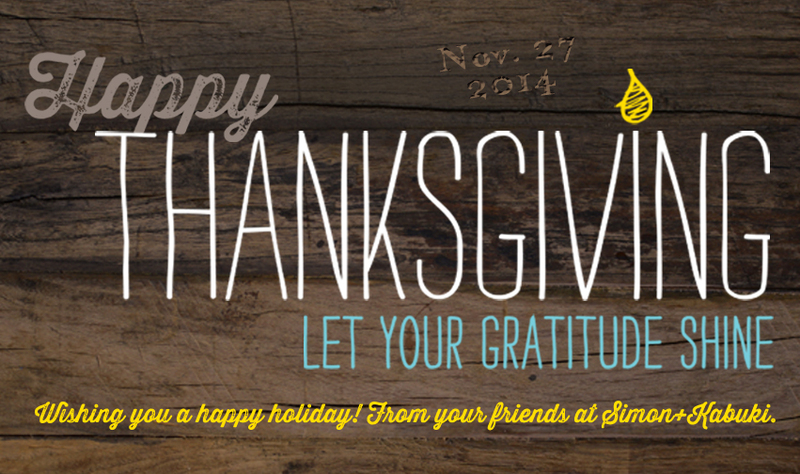 Hope your Thanksgiving week is filled with lots of laughter and love, not too much shopping and lots of good food. Next week I’ll be highlighting a few more of our Simon+Kabuki holiday cards and gifts. Plus a few of my favorite gifts that I’ve found this year. This entry was posted on 11/23/14 and is filed under food, holiday fun, Party time.